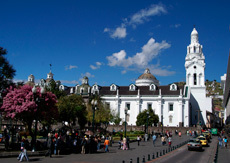 Quito is home to an array of beautiful cathedrals, elegant old mansions, interesting museums, squares and parks. 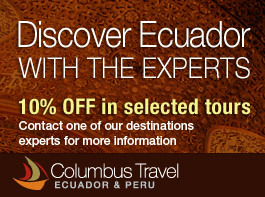 Full of street markets selling a wealth of Ecuadorian jewels, arts and crafts. This wonderful spring-like climate is dominated by mountains, with several snow-capped volcanoes. It was also declared one of the most important world cultural heritage site in Latin America, by UNESCO. There is no better way to understand a destination than through its people. And what better way than understand them than through their customs, traditions, and culture? 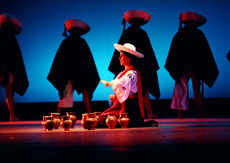 The Jacchigua Ballet summarizes the most important traditions of the Ecuadorian Andean cosmovision in a spectacular show filled with color and joy. Add this unique experience to your trip, and make your tour an experience of a lifetime, as you gain a better understanding of the very essence of the indigenous people and their Andean lifestyle. 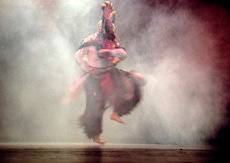 In the spectacular 2-hour show, you will admire the gorgeous folkloric wardrobe used by locals for different celebrations throughout the year and admire the agility and perfectly choreographed dances of these professional dancers that, with passion and bliss, will make this a show that you’ll never forget. Ask your destination expert to add this show to your regular program, and enjoy an experience of a lifetime with the unique Jacchigua Ballet.